Hebro began as a small gathering of friends on Christmas Eve 2007 and has turned into the largest gay party and event scene for Jews outside of Tel Aviv. 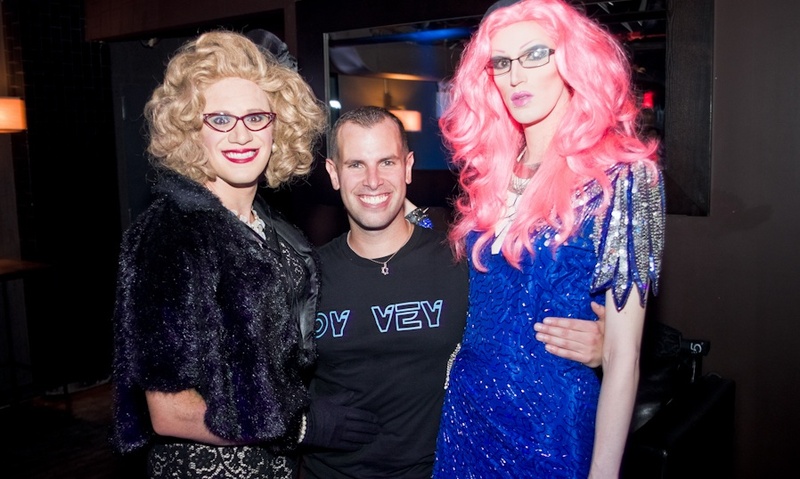 Hebro’s premiere party, the Christmas Eve Jewbilee has grown in numbers, attracting over 1,000 gay Jews at its 2014 event at Stage 48 in Manhattan. In addition to the Jewbilee, Hebro produces High Homodays, Homotashen, Sederlicious! and gay Pride parties in the nightlife space at some of Manhattan’s hottest club venues including Stage 48, Pacha, Hudson Terrace, Slate, among others. Our cocktail parties, happy hours and museum events have been held at Gansevoort Hotel, Time Hotel, The Jewish Museum, Boxers, Atlas Social Club & Flaming Saddles. Hebro has also produced group destination trips to Berlin, Israel & Tel Aviv Pride and a destination weekend in Fort Lauderdale. Hebro events & trips have attracted gay Jews from all around the world and fully welcome our gentile friends who love a nice Jewish boy (sensibly termed ‘bagel chasers’). Hebro has been profiled in Time Out New York, Next Magazine, Gay.net, Jewcy, Logo’s NewNowNext and other national and international publications (click here for full press). Hebro was established in 2008 by Jayson Littman with the mission of creating a community of gay Jews to celebrate their unique culture and identity. And to husband-hunt. For media or other inquiries, please call us at (212) 316-4838, or email Jayson at info (at) myhebro (dot) com. Hebro reminds all of you… to call your mother!